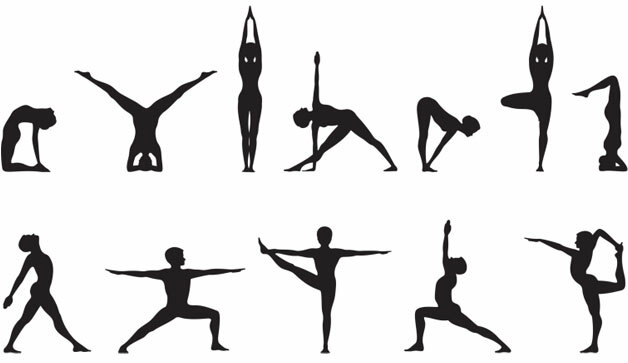 Asanas, are the postures practiced in yoga. Originally identified as a mastery of sitting still. Through the practice of asanas, we develop the habit of discipline and the ability to concentrate, both of which are necessary for meditation. In the Yogasutras, Patanjali describes asana as the third of the eight limbs of classical, or Raja Yoga, and it’s described as a “firm, comfortable posture”, referring specifically to the seated posture, most basic of all the asanas.